LIV Sotheby’s International Realty is pleased to announce that Anne Dresser Kocur; Linda Behr and Josh Behr of The Behr Team; Peter Blank, Carmelo Paglialunga, Rachel Gallegos, Adam Moore, Ben Clark and Jack Urbano of LIV SIR’s Mile Hi Modern team; and Tye Stockton, Tom Dunn and Pat Barrett of The Stockton Group, were recognized on the 2018 REAL Trends/The Wall Street Journal “The Thousand,” a summary of the top 1,000 independent real estate agents and teams in the United States. The REAL Trends Thousand comprises six categories: the top 250 agents by sides, top 250 agents by sales volume, top 50 agents by average sales price, top 250 teams by sides, top 250 teams by sales volume and top 50 teams by average sales price. 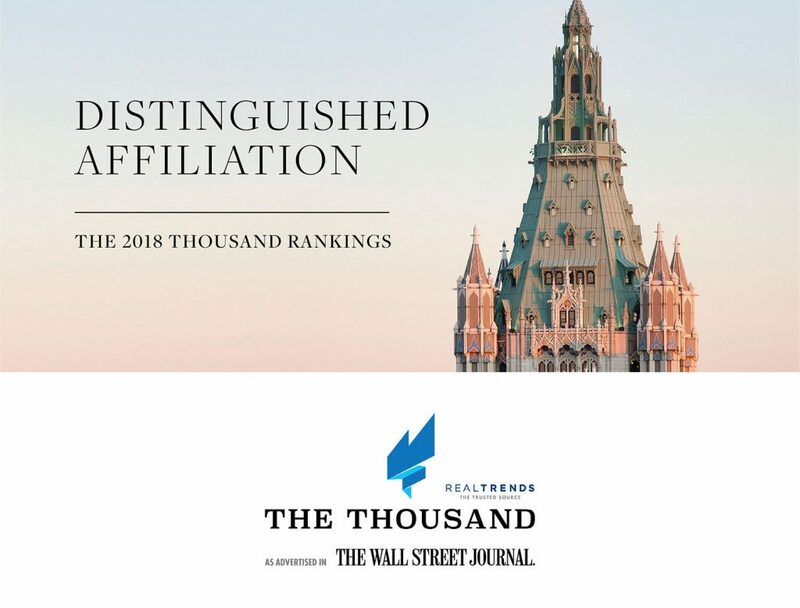 The Sotheby’s International Realty® brand claimed 40 of the top 250 sales associates in the Individual Sales Volume category of the 2018 REAL Trends/The Wall Street Journal “The Thousand,” including LIV SIR’s Anne Dresser Kocur who ranked #192. In addition, 12 teams affiliated with the Sotheby’s International Realty brand were recognized as being among the top 250 teams in the nation by sales volume, with LIV SIR’s Mile Hi Modern ranking #172, The Behr Team #188, and The Stockton Group #245. The Sotheby’s International Realty network currently has more than 22,000 affiliated independent sales associates located in approximately 950 offices in 70 countries and territories worldwide. In 2017, the brand achieved a record global sales volume of $108 billion USD. The LIV Sotheby’s International Realty brand was ranked the #1 Sotheby’s International Realty affiliate in the world for 2017, with 15 office locations in Colorado. The complete Thousand Top Real Estate Professionals list can be found on REAL Trends’ website, www.realtrends.com. For more information or to list your home for sale with LIV Sotheby’s International Realty, please visit www.livsothebysrealty.com or call 303.893.3200.